The King of Kattegat got a major blow as the Parisians defeated the Norsemen. Thus, he just not lost a war, but a battle against his brother. With that loss, he also lost his reputation among his fellow Norsemen and his sons. If you remember the final scenes of the mid-season finale, then you may recall the disgraced Norse king had challenged elder son Bjorn to kill him as he wanted to claim the throne. As of now, the title is not yet released for the episode 11 of Vikings, the one of the most popular tv series which airs on the History channel. However, it is known that it will be a story of Bjorn when he will be forced to choose between the kingship and his father. And he hates his father now. Well, now the focus of the show is highly likely to shift to Ragnar and his ex-wife Lagertha’s son Bjorn. He will be going to sail more lands of Mediterranean and Spain and Africa. 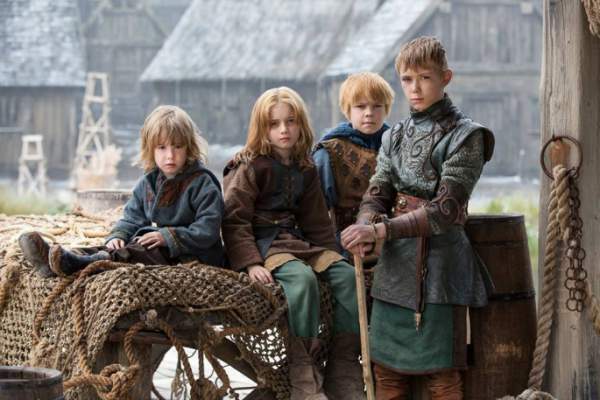 “Historical Ragnar fears that his sons would become more famous than him,” as told by the show creator Michael Hirst after the midseason finale. “We know that Bjorn Ironside did become in many ways more famous than Ragnar because he sailed around the Mediterranean and went to Spain and Africa. And Ivar the Boneless became perhaps the most famous Viking of all and led attacks on England and Ireland. There’s no end to the expansionist visions of the sons, it’s just that they take different forms,” he added. In the meantime, Titan Comics is getting ready to release a new comic book series titled ‘Vikings: Uprising’ which will narrate the struggle of Lagertha while escaping the battle of Paris during the immediate aftermath of the series’ midseason finale. Stay tuned for latest Vikings news and updates.